Below is a sampling of the work we perform. We invite you to browse through the photos. Please contact us for references and to discuss any of these projects or your project in greater detail. 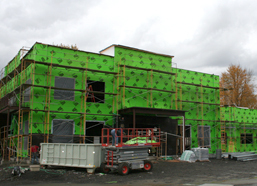 New 16,000 SF two story medical office building. Steel structure with concrete foundation and SOG, aluminum storefront with stone and stucco exterior, single ply TPO roof, interior elevator and two exterior stairs. All new utilities, storm water retention system and working around wetlands. Complete interior buildout of 8,000 SF with remaining 8,000 SF as shell and core. 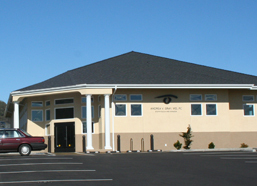 A 5,400 SF new medical facility completed in January 2011. Building nestled into small .6 acre site with significant slopes and adjacent to interstate freeway. New utility services, site work, retaining walls, and paving. 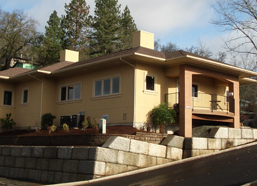 Single-story wood framed structure with combination of concrete and helical pier foundation system and a stucco exterior finish. Interior painted gypsum board, carpet, sheet vinyl, tile flooring and custom cabinets with granite accents and various other artwork highlights. Complete design-build mechanical, electrical, plumbing systems. Owner’s project manager and representative (not GC). Responsibilities include review of drawings, selection of general contractor, monitor work in the field, process change orders and administer day–to-day construction activities. 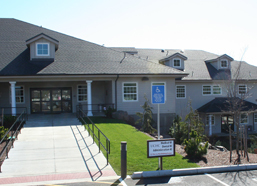 New building is 20,000 SF with medical, dental, and administration services. 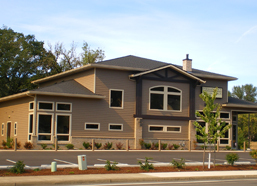 New 3,200 SF dental office building. Wood framed structure with stucco exterior, brick accents, composition shingle roof. Interior finishes include paint, tile, vinyl and carpet flooring, extensive trim work. The project included extensive data and low voltage coordination for various dental systems required and nitrous, vacuum, and air for dental plumbing to each exam room.